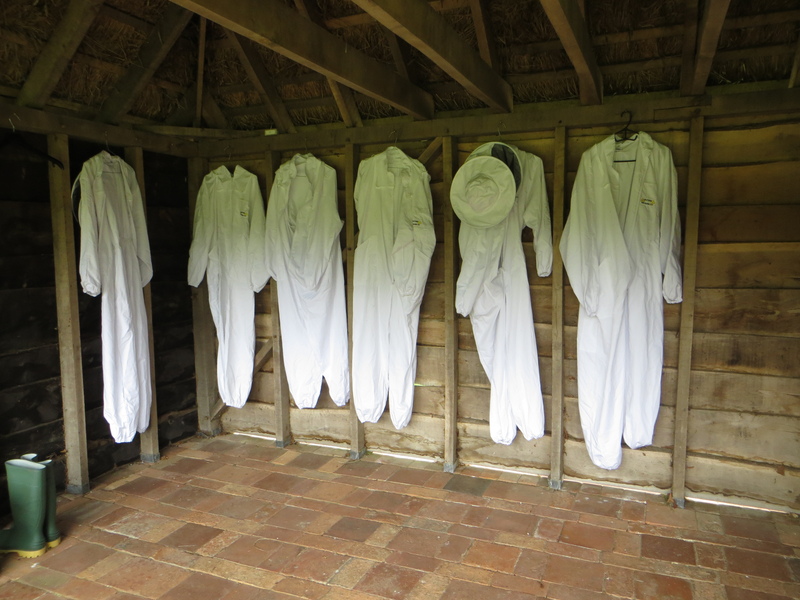 This week saw Sally and I taking our first bee tours at the hotel. 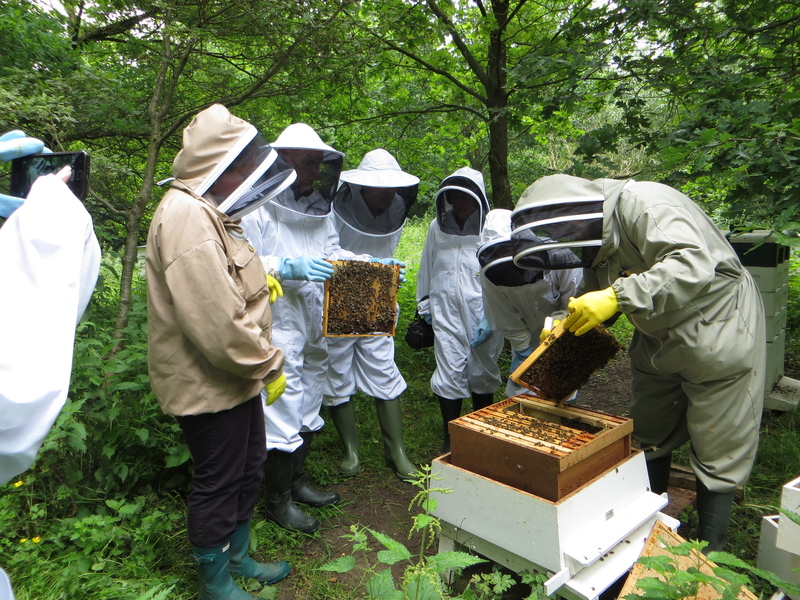 We have two sessions, where one group goes with us to look at the bees while the other group get a tour of the gardens. After we have been at the bees for about an hour, we change groups over. Everyone seemed enthusiastic as most had never seen the inside of a bee hive before. I thought this week I would show what we have done this season to our poly nucs. I have always complained about the feeder, so what I have done, is remove it with a small fine saw and brute force. I then used part of the feeder to make up the gap, and after filing and sanding, I think it is a great improvement. If I need a feeder, I can use a frame feeder. Plastic frame runners were added, so the box now has bottom bee space. The poly nuc now holds 8 frames and this has been an advantage in delaying when moving bees from nucs to full brood boxes. 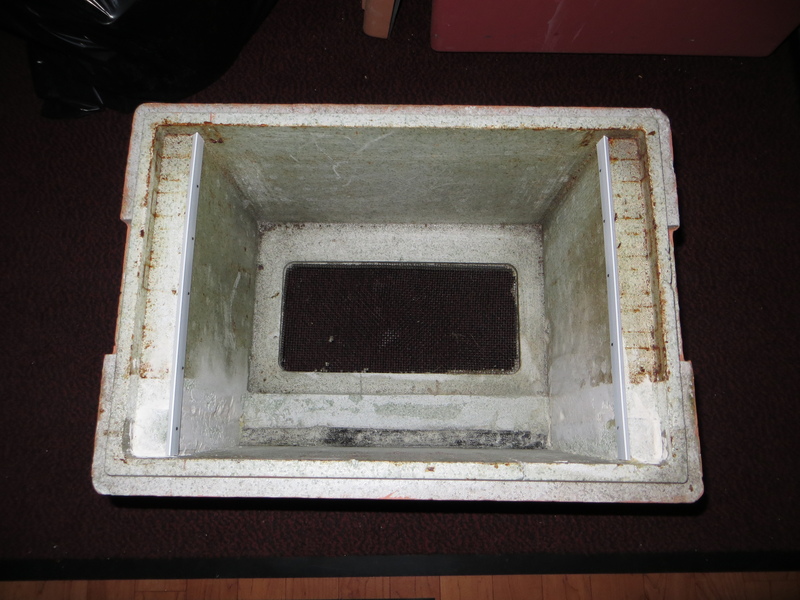 We have also used these for swarm collections and with the modified boxes it has been so much better. I can now shake bees in, add 8 frames and take the swarm to its new location, set it down, open it up and leave it to settle. 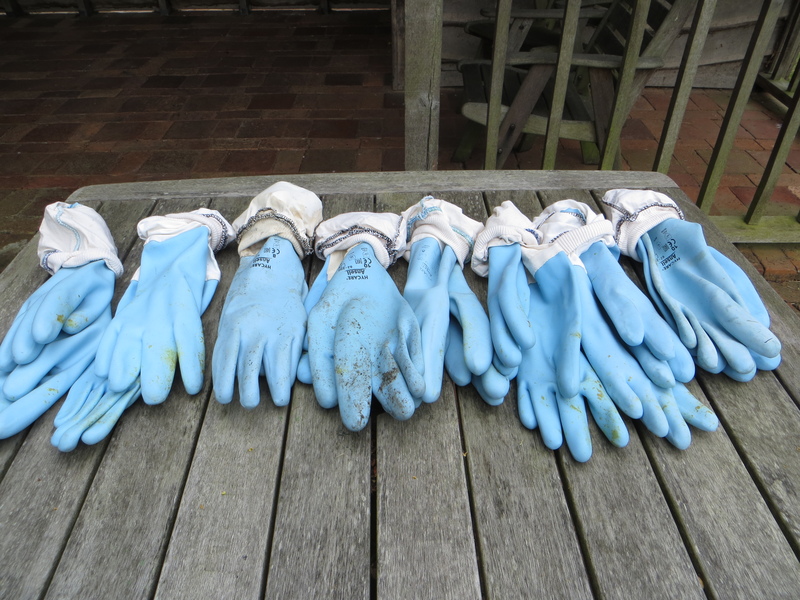 This entry was posted in Beekeeping and tagged Beekeeping, Bees, Poly Nucs. Bookmark the permalink.